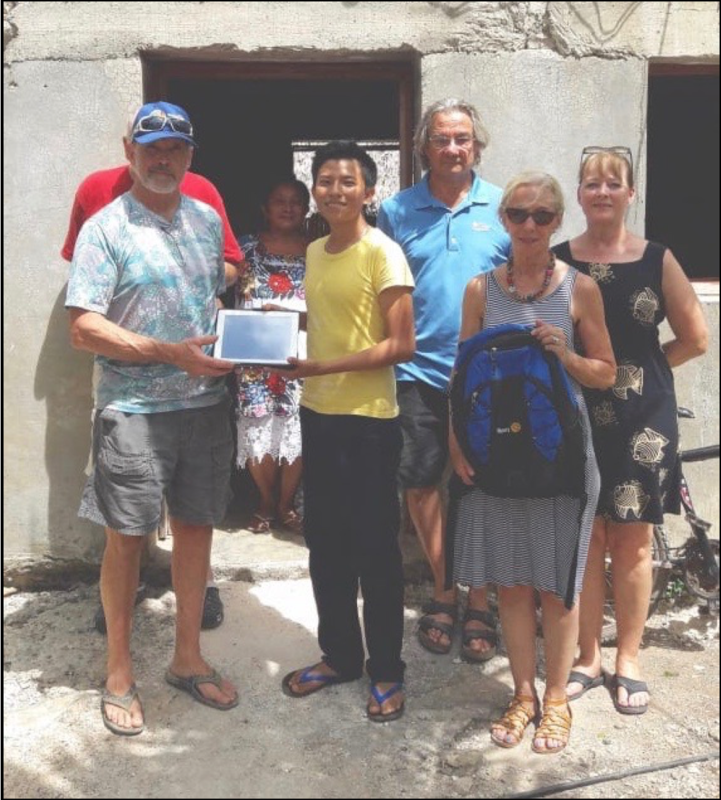 Randy our VP and Fran our past President visited Tulum Mexico to investigate assisting the local Rotary Club with acquiring water fountains for schools. These schools do not have clean water for the students so those that can afford it, are forced to bring bottled water. The others go without or are forced to drink water that is only classified as “potable”. 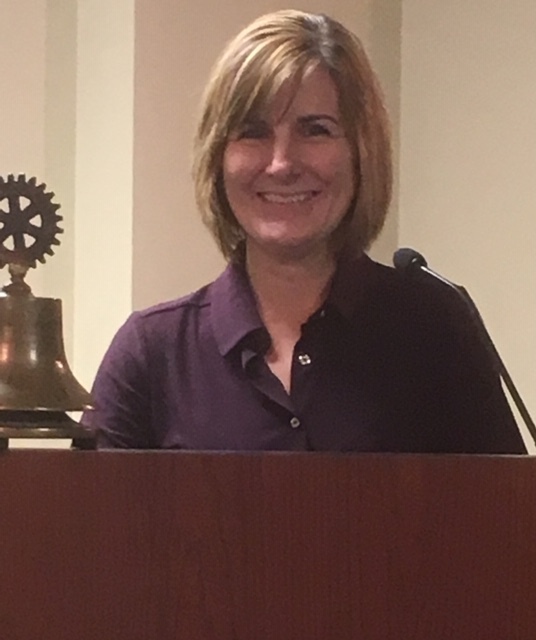 Dr. Mary O'Neill, the Career Experience Coordinator at Housatonic Valley Regional High School (HVRHS) was the Guest Speaker at the 3/26 Salisbury Rotary Club, held at Geer Village. 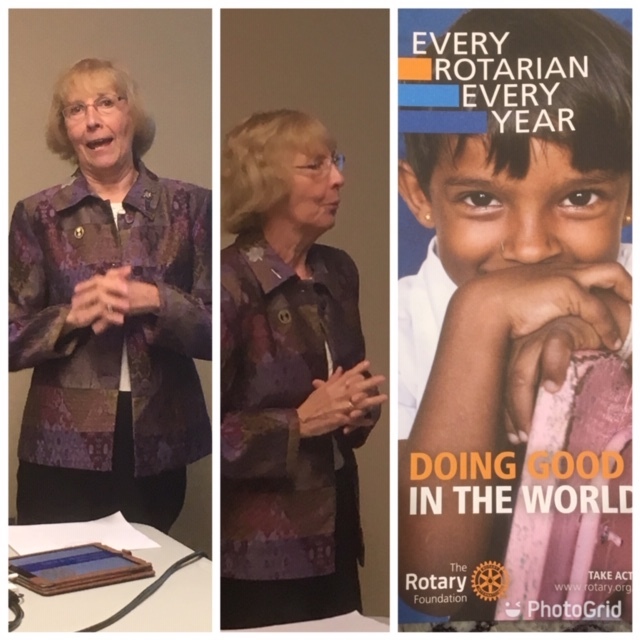 The topic was Rotary Interact Clubs and the possibilities to reinstate our club at the high school.We have been trying to establish an Interact Club for some time now. She was accompanied by the Assistant Principle at HVRHS as well as two students. There were 600+ students when the SRC’s Interact Club was active, vs 300+ now. Students’ time is spread pretty thin now given all they are doing but there is interest in doing community service. Further discussions to be had. 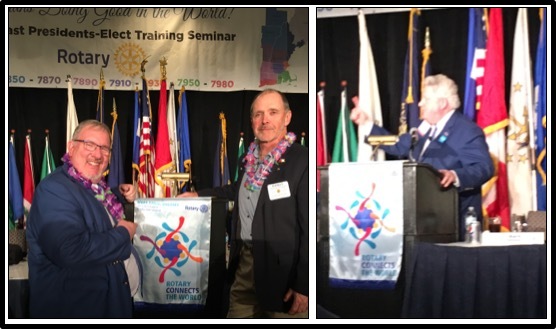 President Elect Randy Chapell attended the North East President Elect Training Seminar (PETS) in Framingham, MA last week. This seminar prepares incoming Presidents for the new year. 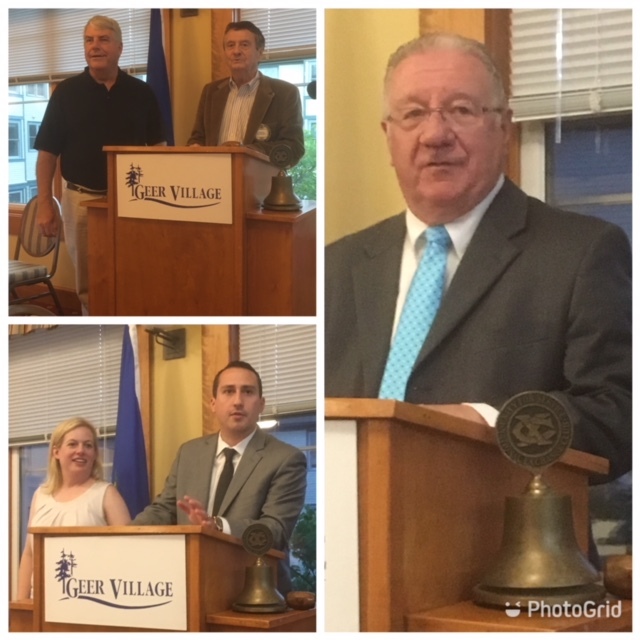 Incoming RI President Mark Maloney was present for the event and was a keynote speaker. 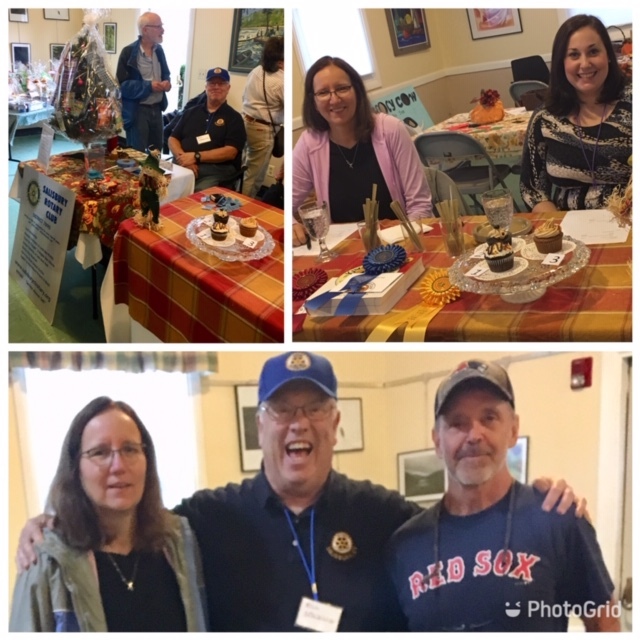 The Salisbury Rotary Club had a presence at The Calico Fair, held at the Pilgrim House and North Canaan Congregational Church, sponsoring a Cupcake Challenge to raise additional funds for the church. Nicole Dewitt won first prize with her Mocha Fudge cupcakes with Expresso Buttercream frosting. Stephanie Grant won second prize with her Chocolate Peanut Butter Dream cupcakes and Jacolyn Brown won third prize with her Chocolate Mayonnaise cupcakes with Cream Cheese Frosting and Vanilla Bean Flecks. King Author Flour provided ribbons and prizes to the top three winners. 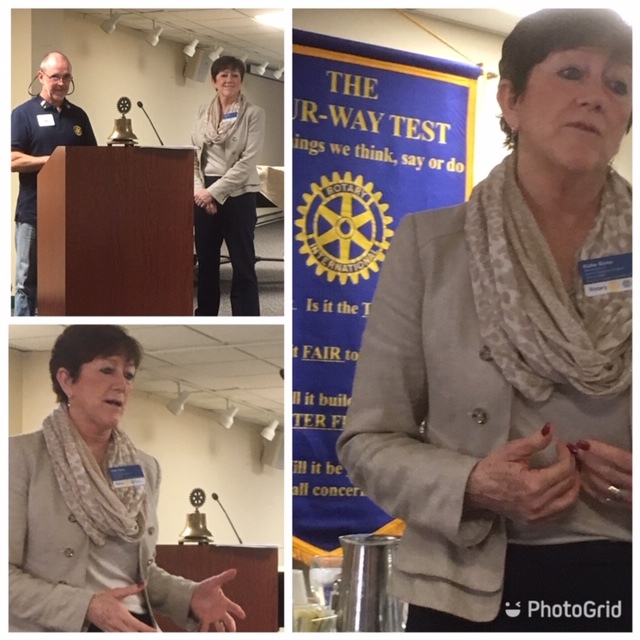 Past President Michele Kearns chaired Salisbury Rotary Club’s 10/16 luncheon meeting. 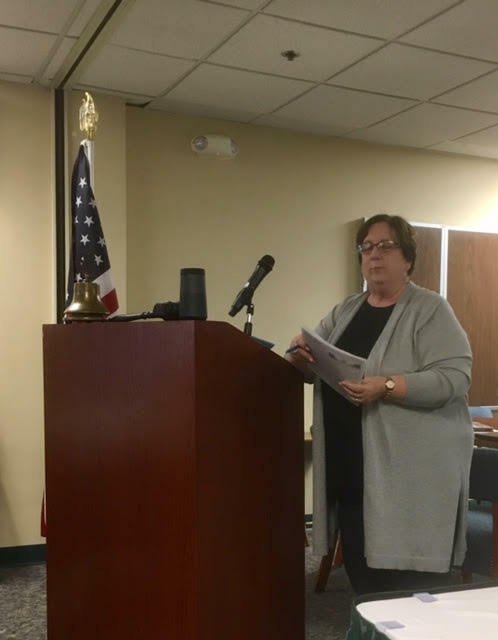 Among items discussed, a motion was made and passed unanimously to explore updating the bandshell SRC donated to the Town of Salisbury some years ago with a fresh coat of paint. 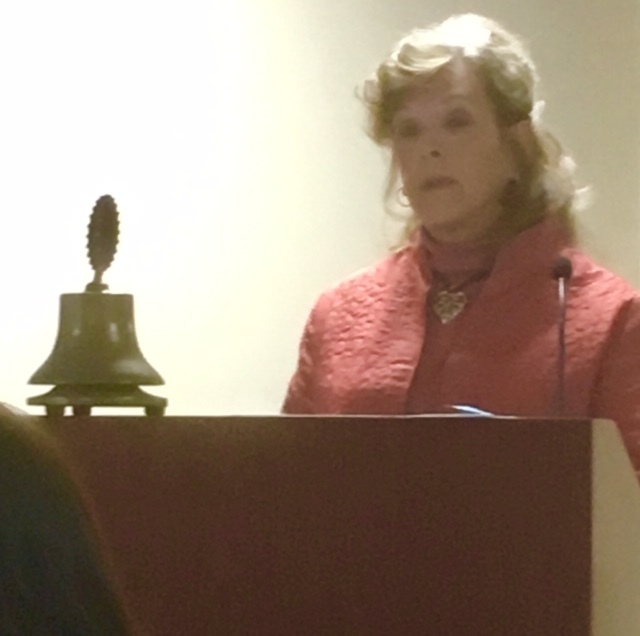 The idea was proposed by Past President Laura Hawkes who indicated her son, a painter, would do it as a community service. 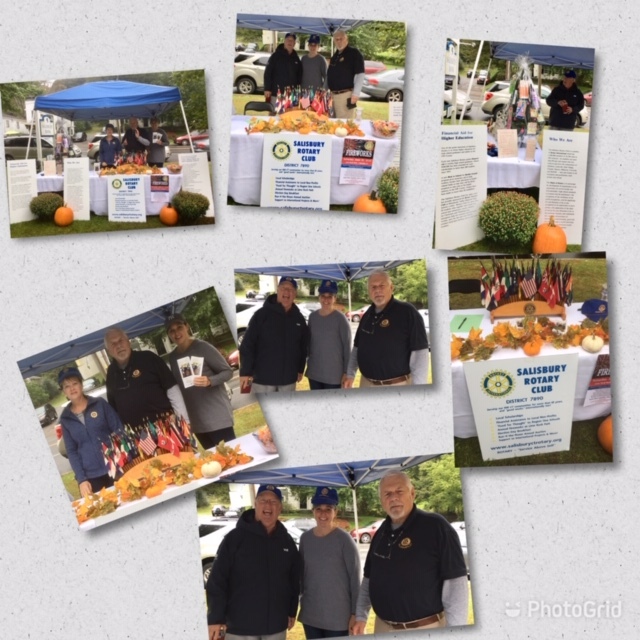 Salisbury Rotary Club had a visible presence at the annual Fall Festival. Great to see folks and share info about the “good works” done in our local communities—scholarships, back-to-school backpacks, food to our local food pantries, more and international projects too! 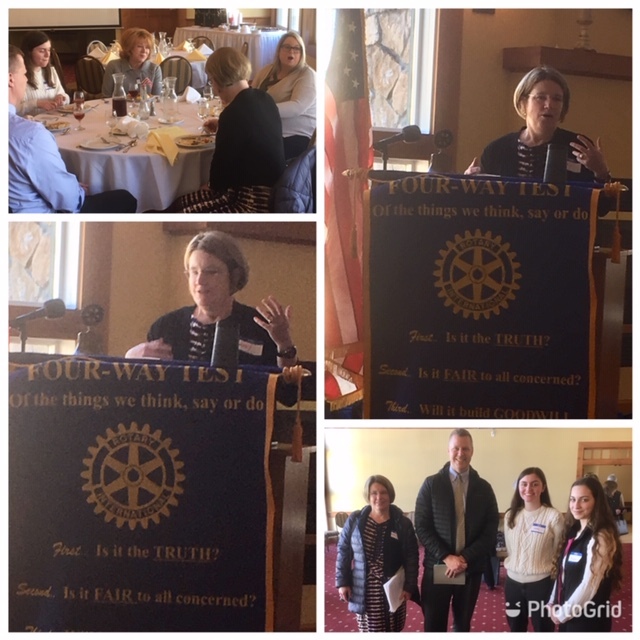 A combined dinner meeting of the Salisbury Rotary Club & Canaan Exchange Club, held at Geer Village on September 18, was the occasion to hear about the United Way of Northwest CT’s current annual campaign to raise $775K to benefit 26 not-for-profit orgs serving the communities of CT’s NW Corner. 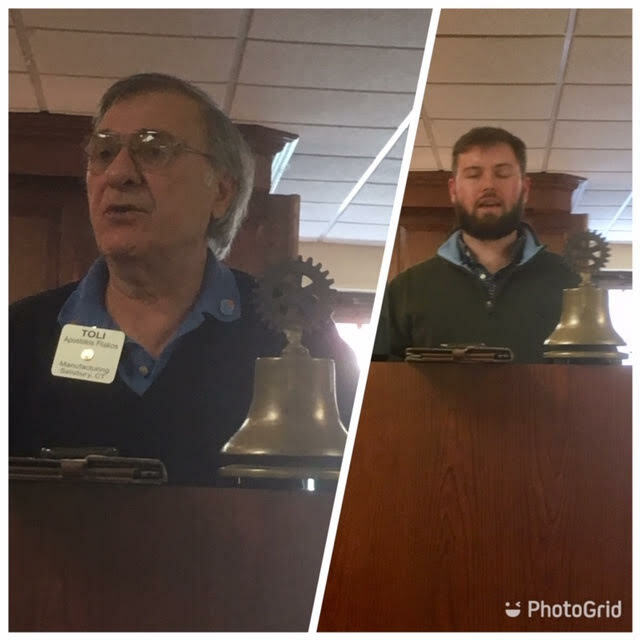 SRC President Pat Gallaway (L) and Exchange President Terry Dougherty (R) hosted the gathering that heard from UW staff, including executive director, Owen Quinn. 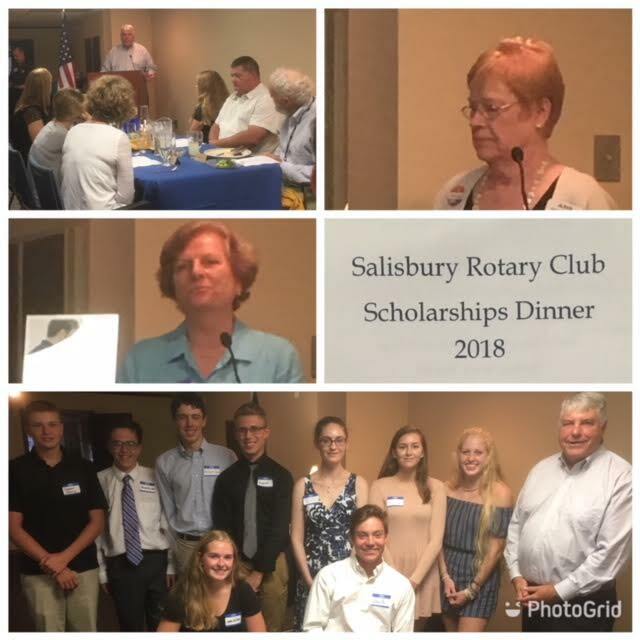 Salisbury Rotary Club hosted its scholarship recipients and their families and announced this year’s SRC-sponsored Bob Estabrook Internship at the Lakeville Journal. The August 14 dinner was held at Noble Horizons in Salisbury. The club has awarded local scholarships since 1951.